A new series of events have been added to the Fall Flavours Festival to celebrate the 10th year anniversary. Taste of Coastal Communities and a new VIP Experience were announced today by Festival organizers at Sobeys, the Festival’s 2017 Title Sponsor, in their newly renovated Sobeys Extra Stratford location. The new Taste of Coastal Communities offers one-of-a-kind experiences in the most scenic corners of the Island, hosted by Canada’s top working chefs. These chefs are at the top of their culinary game, working at acclaimed Canadian restaurants and winning top awards. Today’s foodies crave authenticity from the industry’s real pioneers and trend setters. At these events, guests will experience food prepared by acclaimed chefs as well as the historic, scenic and cultural aspects of each community. Each event will also boast local and seasonal ingredients and culinary creations by talented local chefs. “Fall Flavours is a fantastic way to discover why Prince Edward Island is known as Canada’s Food Island and to extend the tourism season into the fall,” says Economic Development and Tourism Minister Heath MacDonald. “Together with our traditional signature events the new Taste of Coastal Communities Experiences will move the Festival another step forward and present our incredible food and tourism products, showcase both local and Canadian chefs and highlight the beauty of our coastline. Islanders and visitors alike will be delighted”. Chef Michael Smith has partnered with Food Island Partnership for the new Taste of Coastal Communities Experiences to recruit what he knows to be the best of the best in Canadian chefs. “As part of the Festival, our guests have been looking for these types of food forward events. We’ve listened and wanted to deliver on that” says John Rowe, Chair of Food Island Partnership. “We’re so excited for customers to experience these three new incredible events in such unique Island communities”. “We’ve raised the bar again in 2017, so I encourage people to get their tickets early, as many events will sell-out quickly,” added Rowe. The three Taste of Coastal Communities events that were unveiled for 2017 include: Taste of Historic Georgetown (Sept. 7), Taste of Tyne Valley (Sept. 21) and Taste of North Rustico (Sept. 29). All three events have been designed to take full advantage of the coastal communities in which they are located. Join Chef Paul Rogalski for a Taste of Georgetown. Rogalski is from Calgary Rouge, the perennial best restaurant in Calgary and he is the highest rated Canadian ever on the San Pellegrino global list. Experience the tastes and sites of incredible Georgetown venues and restaurants, including The Kings Playhouse, Georgetown Inn, Edens Gate, and Maroon Pig. Next up is Chef Jesse Vergen, who is a Top Chef Canada All-Star and one of the few chefs who not only creates his meals, but invests in the hunting, foraging and raising of the dishes he creates. Vergen represents all things local – local ingredients and local meals. Vergen will join local chefs from Tyne Valley to create a meal that showcases the town’s rich history in farming, fishing and shipbuilding as well as incorporating the incredible views of Tyne Valley. To top it off you can enjoy a traditional and authentic East Coast kitchen party featuring our amazing local chefs and Chefs Connie DeSousa and John Jackson. Connie and John co-own four successful restaurants including the award winning CHARCUT Roast House in Calgary. DeSousa is also a Top Chef Canada All Star. “The Rustico Kitchen Party” is a traditional Island kitchen party style event inspired by our fishing community featuring grazing stations provided by North Rustico’s finest restaurateurs. The Festival will also introduce a new intimate VIP experience as part of the 2017 line up. The Ultimate Chef’s Table will be hosted at the new RiverShed in Oyster Bed Bridge. VIP guests can come together for the ultimate dinner party where celebrity Chef Corbin Tomaszeski and Sims Corner Chef Kyle Panton will host an exclusive, intimate culinary experience at PEI’s newest venue overlooking beautiful Rustico River. Served family-style, guests will enjoy an interactive menu of fresh, local Island fare prepared table side with wine pairings by an in-house sommelier. 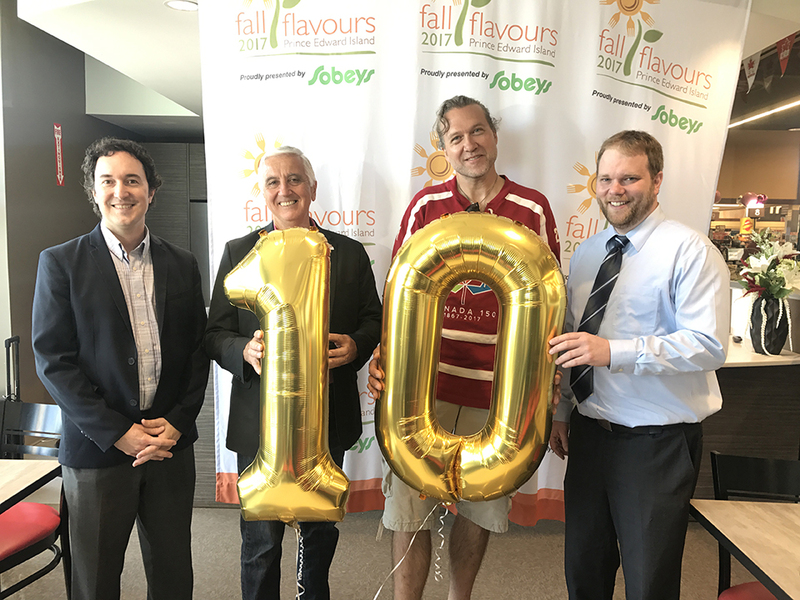 Fall Flavours is excited to partner with Sobeys this year as the 2017 Festival’s Title Sponsor. In addition to the Signature and Taste of Coastal Community experiences, there will be various Culinary Events scheduled for 2017, with more announcements expected shortly. Garden Party (Sept. 6), PEI Beer Festival (Sept. 8-9), Roma Gala Heritage Feast (Sept. 9), Crawford and Nash, Worlds Collide (Sept. 13), Clammin’ N Jammin’ (Sept. 16-17), Big Clam Brunch (Sept. 17), Buon Apetito (Sept. 20, Sept. 27), 10 Small Plates (Sept. 21), Roving Feast (Sept. 22) and The Great Island Grilled Cheese Challenge (Sept. 24). As well, the Festival will once again feature special restaurant dining at locations across the province that will include a range of uniquely PEI Culinary Adventures. Hosted by Canada’s Food Island, Fall Flavours takes place at locations across Prince Edward Island from September 1st – October 1st, 2017. Celebrity chefs appearing at Festival’s twelve Signature Events include Michael Smith, David Rocco, Danny Smiles, Chuck Hughes, Lynn Crawford, Mark McEwan, Vikram Vij and Corbin Tomaszeski. 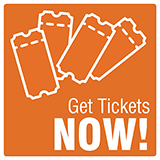 Tickets are on sale now at www.fallflavours.ca, with early bird prices (10% off) in effect until August 31st. If desired, guests can redeem their AIR MILES Reward Miles online for Signature Event tickets. For more information visit: www.airmiles.ca. The Fall Flavours Festival is hosted by Canada’s Food Island, an initiative of the Food Island Partnership.